Allow me to introduce 'Dallas' (I named him that because it rolls off of the tongue nicely, and it seems to fit him). I purchased him Dec 21, 2013 at the Pacific Livestock Auction. 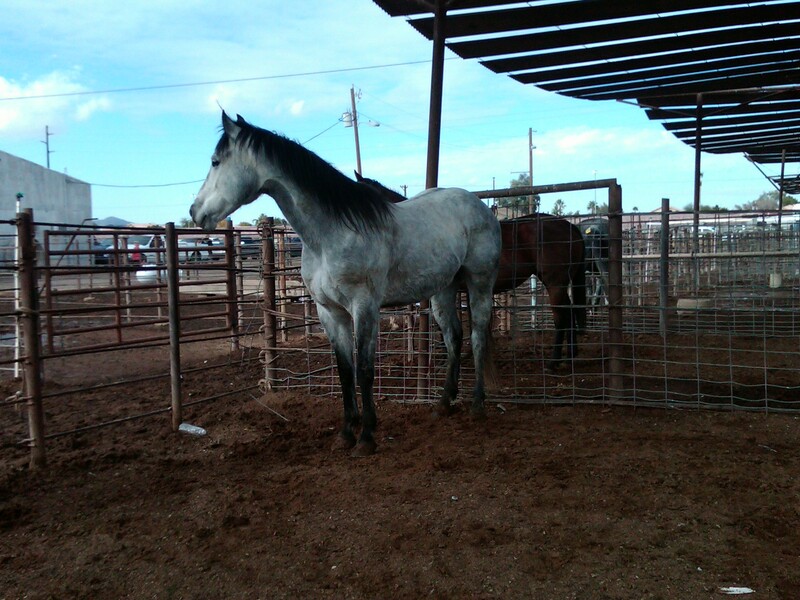 'Dallas' is a grade quarter horse, 15.1 hh, and weighing in at 1090 lbs. He was foaled in March of 2006. He came right up to me in the catch pen after the auction, and dropped his head for the halter as if we had been friends all his life. 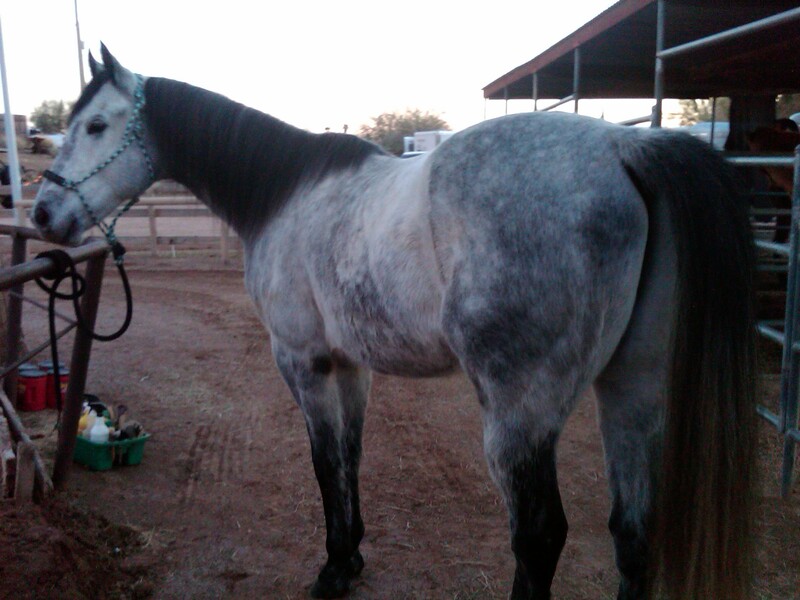 He hopped in my trailer like an old pro, rode quietly all the way to Apache Junction, and backed out of it when we arrived at home like he had been doing it for a million years. I spent time grooming him when I first got him home...and found he had brand-new shoes on, and great looking feet. He's as tall as Doc, but has a bit more 'body' about him. He was ridden by an auction wrangler in the ring at the auction as he was being bid on, and was as quiet and level-headed as anyone could want. He reined and had a nice stop, and I found over time that he has two quirks; he doesn't really like other horses, and will go on the defensive if they encroach his personal space, and he is 'chinchy'. I would bet that this is why he landed at the auction. I got him for $400...a steal. The pictures, the one above taken at the auction, and the one below on the left from when I got him home and brushed him up, don't do him justice. 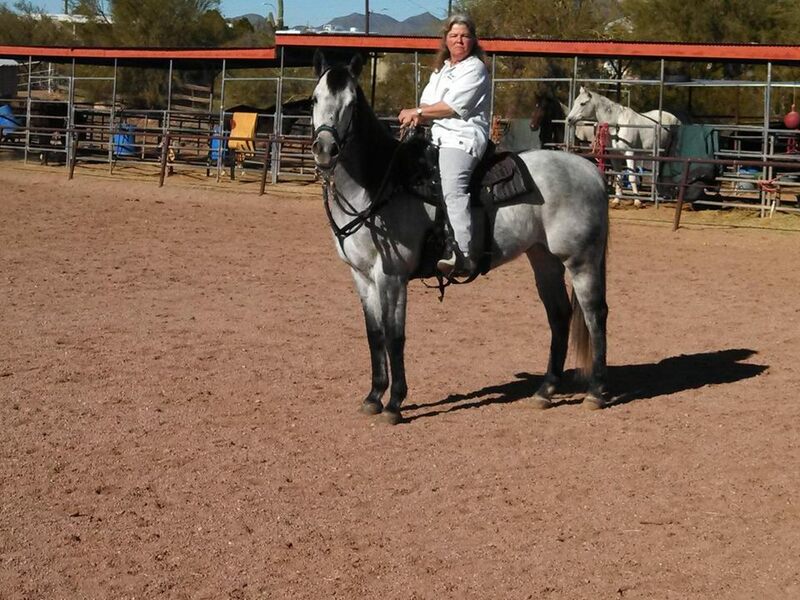 The one of him in saddle was after a year in my care.